Comfort the cat lovers in your life. Death is part of life and while sadness is part of losing a special pet, it also presents an opportunity to care for someone in need. 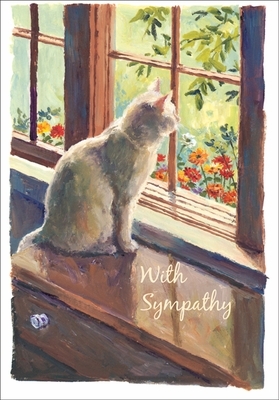 Sympathy pet cards are hands down the best way to meet your clients where they are. It's a chance to reach out to them and treat them with compassion. While other businesses may look for ways to automate and treat clients like numbers, your business can stand out by treating clients like people and comforting them during a challenging time. 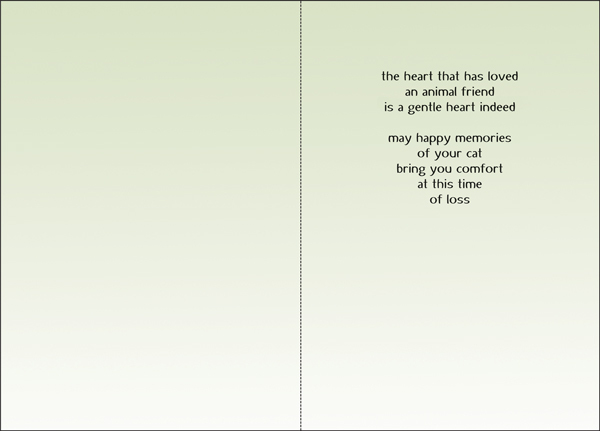 Veterinarians and pet professionals from across the country use pet sympathy cards because they care about their clients. When the death of a pet occurs, send a special pet sympathy card and touch a hurting client family. Click 'Add to Cart' to have stock on hand.